Photo by Jonathan Maus, BikePortland.org. No, it’s not me. She’s cooler. Forget about the fact that biking’s more fun, healthier, cheaper, greener and sometimes (in the case of camp carpools) even easier than driving a car. And never mind that biking teaches your children independence and self reliance. No matter what I say, you’re never going to try biking. Because biking with your family would mean actually spending the time and money on adult bikes. But what if I told you this: we’ll loan you a bike. That’s right, we have a daily bike loan program in our garage, featuring a male and female bicycle perfect for an average size rider. 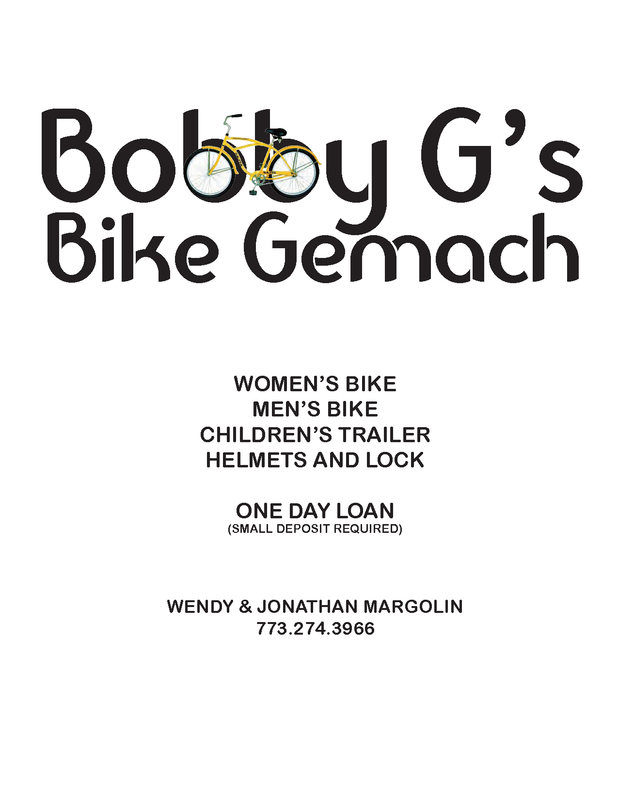 And with my dad’s 20th yarzeit coming up this week, we’re hoping that this season’s Bobby G’s Bike Gemach, created in his memory, is busier than ever. Haven’t ridden a bike in years? No problem. It’s just like…riding a bike. how wonderful!! I might come knocking…may his neshama have an aliyah Aviva L.
So proud of you, Wen. Really beautiful. Brought tears to my eyes. You are making such a positive impact in your community. Way to be such a great example for everyone around you. xo. I wanted to tell you that we have a tool gmach and if anyone needs air in their tires from the bike gmach we would be able to pump them up with our air compressor ;)! Love this! What a wonderful thing to do! Awesome idea! The weather has been ideal lately!